In this Sept. 5, 2018 file photo, Independent 2nd district Virginia Congressional Candidate, Shaun Brown, talks with reporters outside Richmond City Circuit Court in Richmond, Va.
A former congressional candidate in Virginia says she will run for Congress again even though she'll be in federal prison. Shaun Brown revealed her plans to reporters Wednesday before turning herself into authorities outside a federal courthouse in Norfolk. The 59-year-old was sentenced last week to three years in prison for defrauding the federal government through a summer meal program for children. She continues to say she's innocent. Brown was the unsuccessful Democratic candidate for Virginia's 2nd District on the state's coast in 2016. Step inside a cherry blossom whirlwind at a new interactive exhibit in D.C. that celebrates the short but sweet nature of spring blooms. ARTECHOUSE's "In Peak Bloom" is open through May 27. She tried again in 2018 as a third-party candidate. But a judge removed her from the race after finding that Republican campaign staffers forged signatures to place her on the ballot as a spoiler candidate. 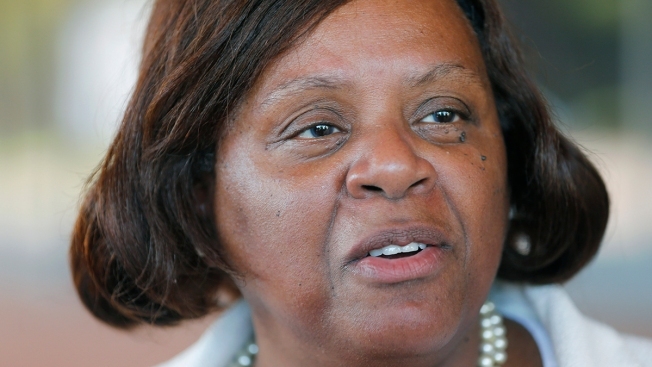 Brown said she plans to run in Virginia's 3rd Congressional District.